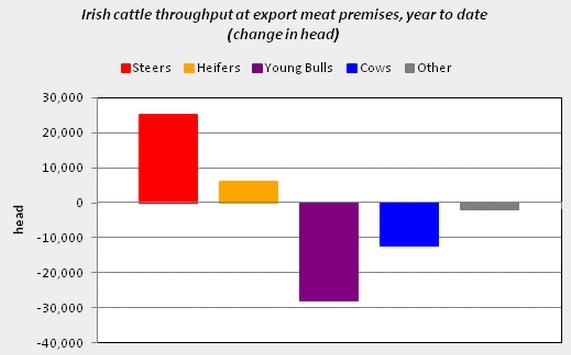 The beef trade continues to be underpinned by strong demand coupled with tight supplies. 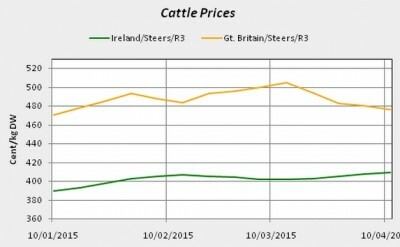 There has been a further rise in cattle prices across some categories. 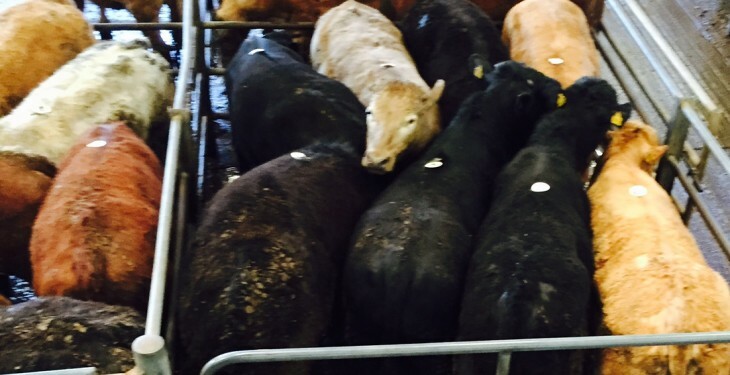 According to Bord Bia the majority of steers were being purchased in recent days at a base price of around €4.20/kg on the Quality Payment System while heifers were being purchased on average at a base of €4.30/kg with selected lots achieving higher prices. These prices exclude bonuses payable on in-spec QA animals. Prices paid for O grade cull cows are generally making between €3.60/kg to €3.75/kg. The latest cattle supplies at export meat plants for the week ending April 11 stood at just under 29,000 head which was 11% behind supplies for the same week last year. Cumulative beef supplies for the year to date are down around 11,000 head on supplies for the corresponding period last year standing at around 460,000 head. Reflecting the continued imbalance in supply and demand and disrupted processing, beef cattle prices came under pressure recently in Britain, according to EBLEX. 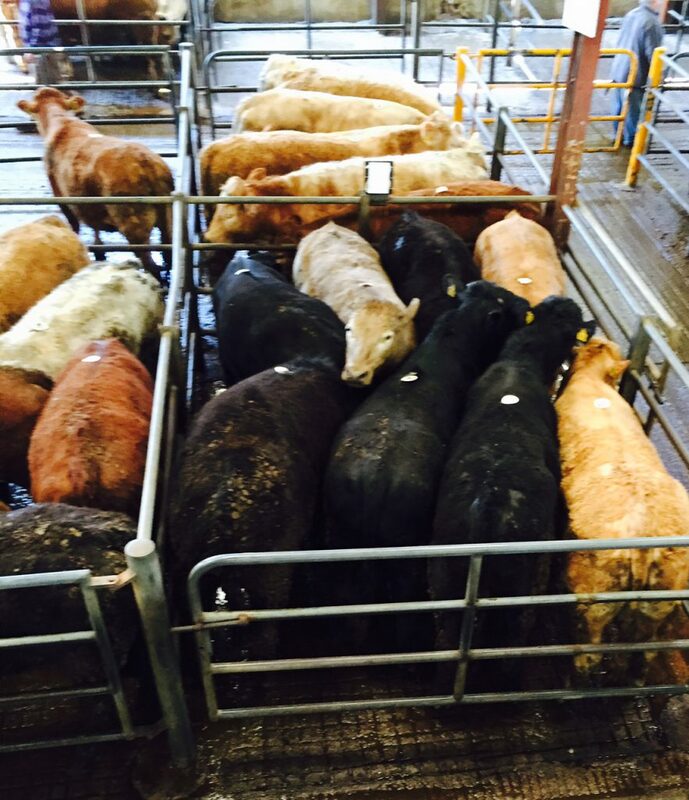 Its latest figures shows the deadweight GB all prime beef cattle price was back 4p at 342.5p/kg. This represented the largest week-on-week fall recorded since May last year and means that the all prime average has fallen more than 10p/kg over the past four weeks. Despite this, EBLEX says reports do still suggest that cattle fitting supermarket specification are finding a home far easier than those outside it. It says with the expectations that cattle supplies are set to tighten, throughputs in March suggest this may have already started. EBELX says the balance in the trade could move into a position that is less out of kilter, in particular as the season moves towards the transition between ‘yarded’ and grass-fed supplies. However, with the current fine weather unlikely to stimulate demand for roasting cuts, it is likely that caution amongst processors could persist in the short term, it says. Coupled with the euro exchange rate and its impact on the competitiveness of Irish product on the UK market, this continues to offer some downside risk to the British trade, according to EBLEX. In France little change has been reported with promotions this week centred on shanks, rumps, sirloins and diced beef. In Italy, the trade was reported as relatively stable however strong supplies of competitively priced product remain on the market. In France the R3 young bull price was down 4c to €3.69/kg and the O3 cow price was unchanged at €3.16/kg. In Italy the R3 young bull price was down 6c at €3.92/kg and the O3 cow price was down 2c to €2.77/kg.